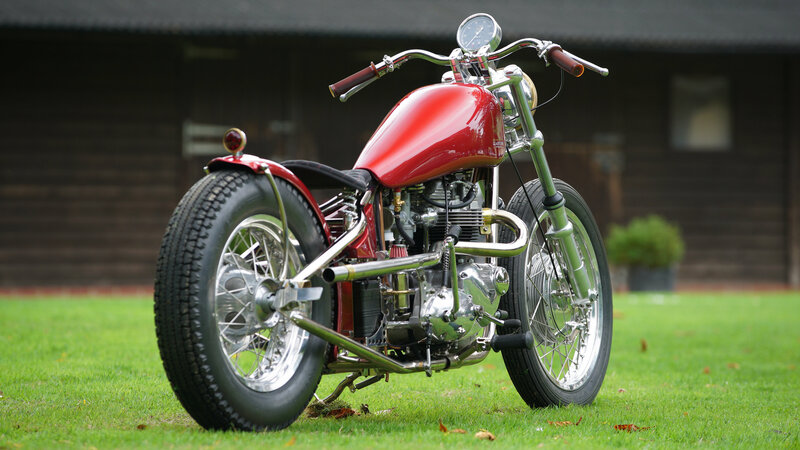 Gladstone Motorcycles have unveiled a new model – the SE – following the completion of their initial run of nine No.1 bobbers. Launched in 2013, each Gladstone No.1 required a build programme lasting 6 months and was delivered with a brass plaque on the oil tank to denote the production number. He continues; “We wanted to build a bike where we didn’t have customers for it – this is what I’d build for myself as a personalised bike on the road. No outside influence – just me and Henry [Cole – TV presenter and company founder] building what we want to ride”. 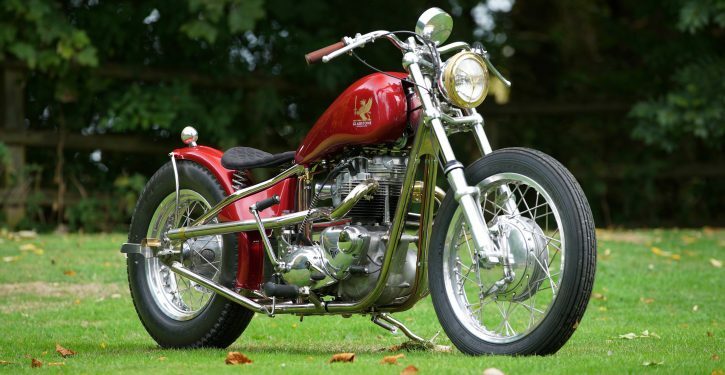 Refurbished 650cc 4-speed T120R motor, with right foot gear shift and single carburettor, replaces 750cc Triumph T140 engine, with 5-speed left foot gear shift. Norman Hyde M-bars replace flat bars. Shorter (720mm) Ceriani front forks . Norton TLS front brake replaces Ceriani replica Grimeca 4-leading shoe drum. Painted Aston Martin Rosso red (all No.1s were black). Each SE will be built to order, so customers can specify various aspects of the machine, such as colour, grips and saddle, to suit their taste. Contact www.gladstonemotorcycles.com to find out more.